Well here is a review of the new Windows Mobile flag ship phone, the Nokia Lumia 900, which was just launched this past weekend in theUS and is available here in Canada on Rogers for $99.99 on a 3 years contract. 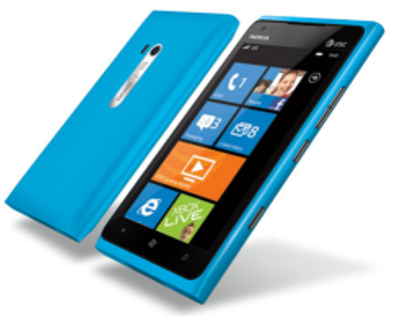 If you are interested in getting this cell phone here are 5 reasons why you may want to take a look at the new Nokia Lumia 900. Microsoft and Nokia are both motivated to be relevant again in the cell phone space, so the entry price of just $99.99 is a very good price for this new phone. When other cell phones normally debut for at least $150 this phone is about $50 cheaper that similar phones just releasted. If you are a big fan of the Microsoft and the Windows operating system then you will like this new release, it gives you access to genuine Microsft Office, XBOX Live, and familiar apps like Windows Live and Internet Explorer. The new tile layout is intuitive and a better design for the mobile phone. The customisable menus is a very cool feature which allows you to personalize your Windows Experience. The phone comes with a 4.3″ AMOLED screen, larger than an iPhone, has LTE capability and has seen 10 MBps speeds in download tests. It comes with an 8MP camera with dual LED flash with autofocus. With its blue polycarbonate unibody it has a distinct and unique feel to it which makes it stand out from its competitors. The very look of the device makes it look cool…maybe its me or just the cool blue body. The phone is the best I’ve seen from Microsoft, so for those Microsoft / Windows fans out there you won’t be dissappointed with phone and the new 7.5 operating system. The general consensus and based on reviews coming in this phone is a great phone and deserves to be a part of the conversation of top phones. While the Nokia Lumia 900 seems to be a very good phone, its a start on a path back from obsurity for Microsoft and Nokia. The Winodws Phone platform still has only a limited amount of apps about 70,000+ versus 600,000 for the iPhone and about 500,000 for Android so the app ecosystem is limited. I won’t quite call it an iPhone or Android killer but its a great value for this phone and worth considering. So if you are looking for the Nokia Lumia 900 be sure to check for the best cell phone plans.